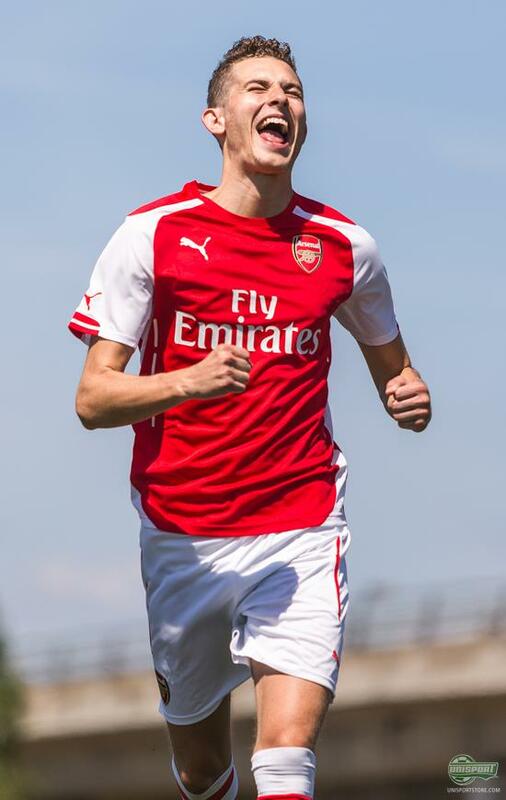 The first of July 2014 was officially the first day of the new partnership between Puma and Arsenal. Thursday the tenth of July they unveiled the result of their new cooperation. This calls for a feature in our weekly Unisport look of. 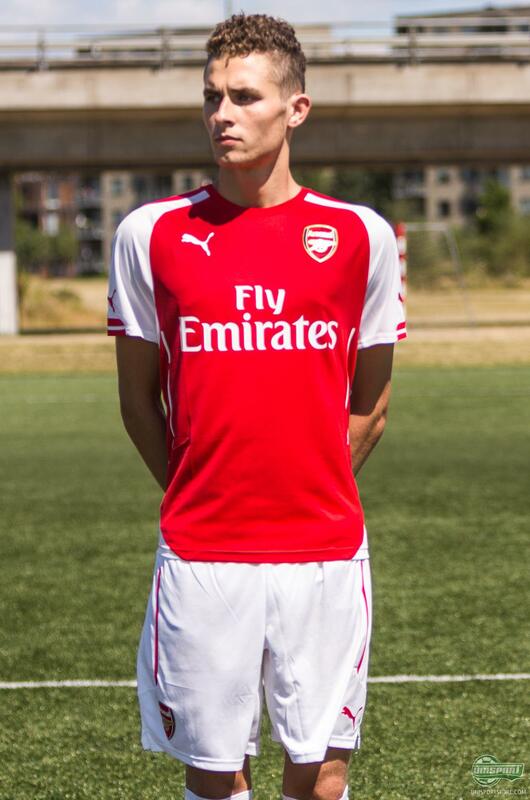 Get a closer look at Arsenal's new home shirt here. In connection with the presentation of Arsenal's new shirt PUMA came with three theme, which represent the reasons for the shirt design. In the case of the home-shirt, the theme was “Forever” and one of the sources of inspiration was the particular nuance of red that was used on Arsenal's shirt in 1933. 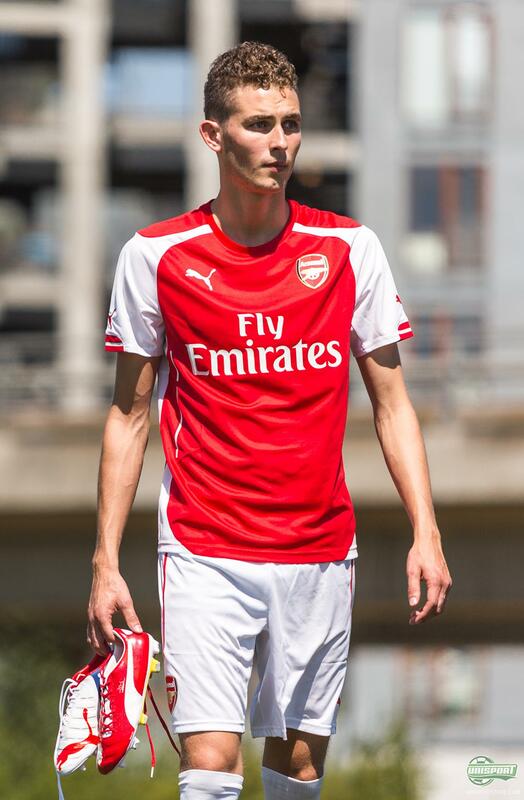 Pre-order the entire Arsenal kit right here – just 126 euro. The red colour they have used in recent times has not always been the one they used on Arsenal's shirts. Before 1933 Arsenal's shirt had a more rusty-red colour, much like the one The Gunners used in their last season at Highbury in the 2005-06 campaign. 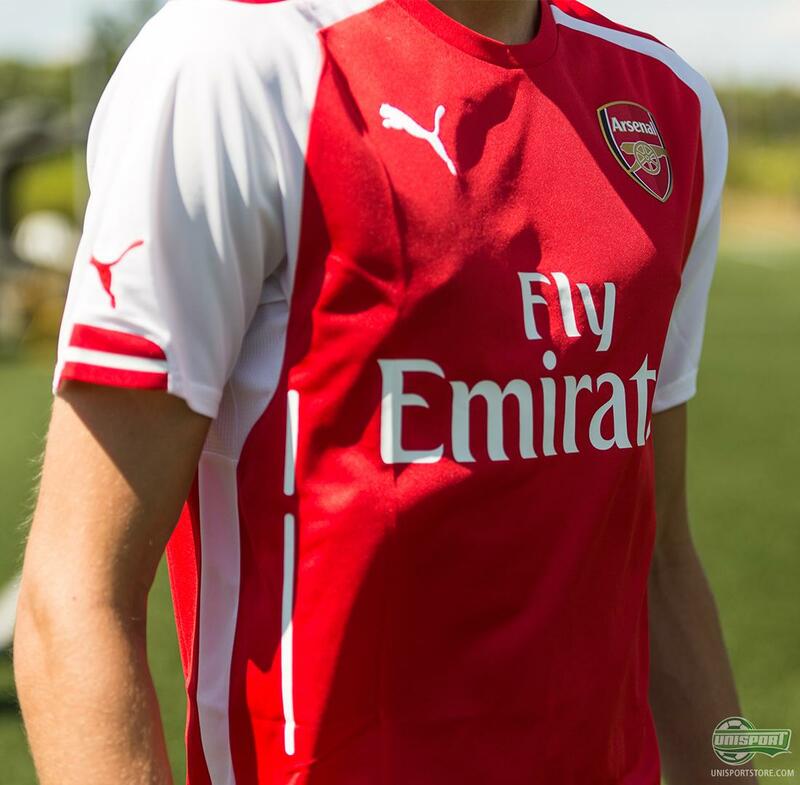 It was also in 1933 that the white sleeves were introduced as a part of Arsenal's home-shirt and to underline the significance of this milestone, Puma have kept these two elements on the new shirt. If you take a look at the rest of the set, the shorts are completely white, while the socks are red and white striped. The stripy design on the socks is something that has been a part of Arsenal's socks many times throughout their history, way back before 1933. Puma once again manage to encapsulate some of the old designs in a modern way on the new shirt. 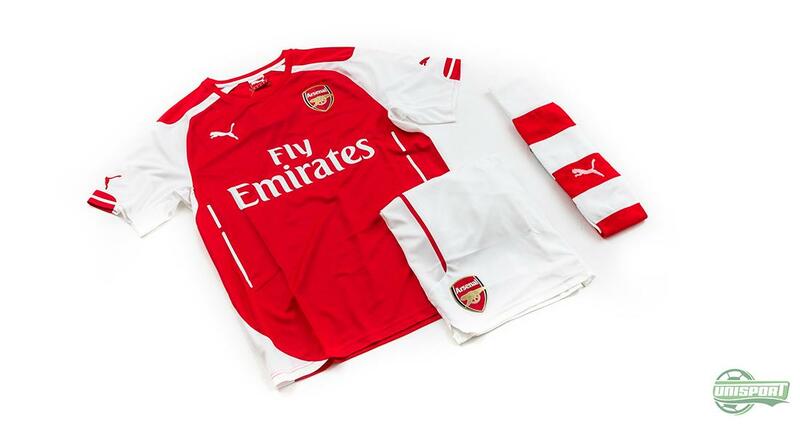 Pre-order the entire Arsenal home-kit right here – just 126 euro. Another source of inspiration for Puma were loyal fans, which have helped build Arsenal and propelled them to become of the biggest clubs in the world. Seeing a sea of red and white shirts in the stands, when Arsenal play is one of the things that makes Arsenal special, which is something Puma's design team wanted to capture and show with their new shirt. 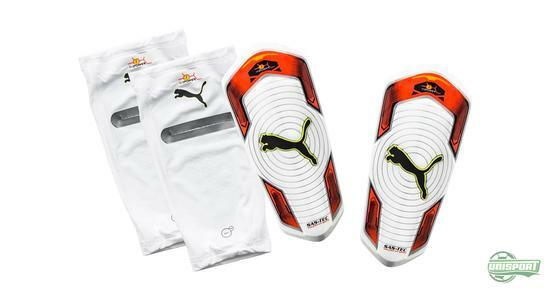 In connection with the launch of the shirt, Puma also presented a new Tricks design for their evoPOWER and evoSPEED boots. 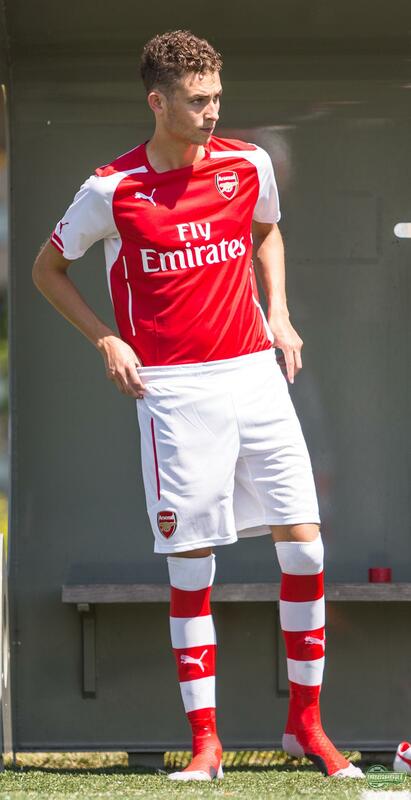 Interestingly enough they shared the same colours as Arsenal's shirts. 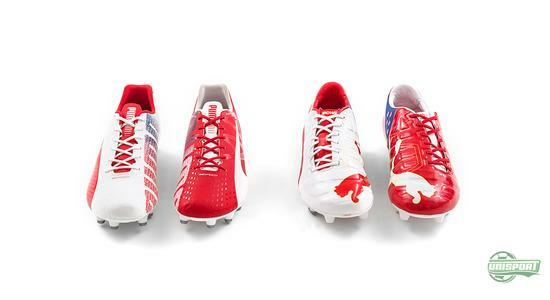 This is hardly a coincidence, because the two new Puma boots will only be worn by players from Arsenal. You can find the new evoPOWER Tricks White/Red right here – just 195 euro. Are you more into speed, then you can find the evoSPEED 1.3 Tricks white/Red here – just 210 euro. It was an impressive show, when Arsenal launched their new shirts Thursday evening at the London eye. Now we have had some time to take in the shirts and the history behind them, you really get an idea of how much effort Puma have put into the first Arsenal shirt designed by them. What do you think about the new shirts and the set as a whole?